PFDC’s 20th fashion week 2019, kicked off with the bigwigs of the fashion industry. The designers were determined to get you in the mood for the festive season with showstopping bridals, old-world glamour and a new-age aesthetic. Here’s a complete lowdown of the trends which from emerged from Day 1 of fashion week. 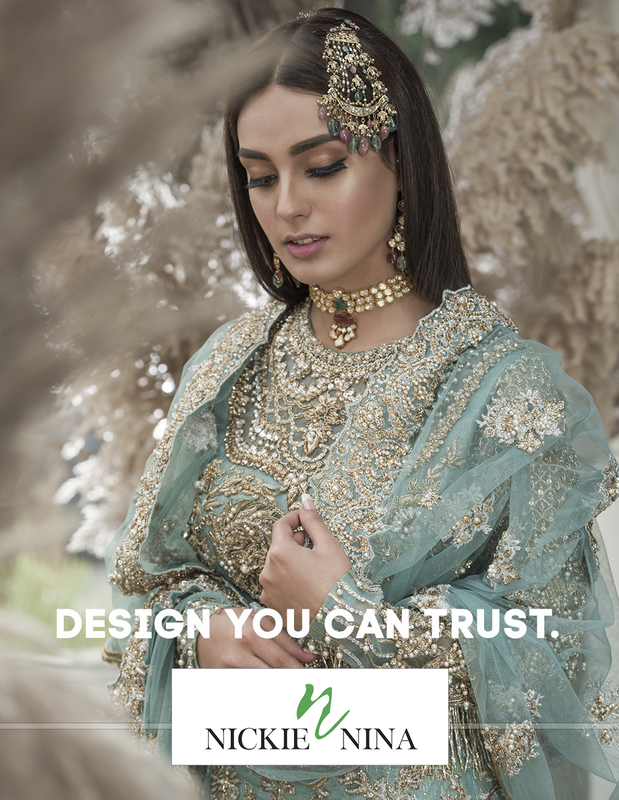 With summer just around the corner, Zara Shahjahan, Sania Maskatiya and Fahad showcased an array of traditional bridal wear- that all the bride(s)-to-be will want to bookmark for their big day. The takeaway here is if you’re looking at a big fat wedding celebration or an intimate one, a show stopping bridal is the ultimate protagonist. From fuss-free ghararas and floral dhoti to plain white anarkalis, PFDC saw some fuss-free and easy wedding wear by Zara Shahjahan, Fahad Hussayn and Sania Maskatiya. The new collection is sure to dominate your spring wedding mood boards with its old world charm. Take notes from the opulent yet simple looks, which were elevated with gotta work, rainbow hued dupattas and a printed dhoti. If you’re not one to stick to demure looks, the new-age aesthetic is definitely for you! Hussain Rehar puts a futuristic touch on the desi wear with edgy embellishments and aviator sunglasses. Yasir Waheed revamps the classic dhoti and Zara Shahjahan modernises a simple kurta set with the designer’s version of a desi fanny pack.